The Continental WinterContact TS 850 P is the latest generation winter tyre from Europe’s leading tyre manufacturer, hitting the road later this year with a range of innovative technical features and a new naming convention. With this latest introduction from Continental, a new product designation for winter and summer car tyres has been introduced. In the future, all new products will no longer feature the word "Conti" in their names. The renaming will take place as part of a global standardisation of Continental product designations. The new winter tyres will therefore be called Continental WinterContact TS 850 P and Continental WinterContact TS 850 P SUV. The Continental WinterContact TS 850 P builds upon the performance of its predecessor in terms of handling on snow-covered and dry roads, as well as braking. This is made possible thanks to a new tread design of the asymmetrical winter tyre for the mid-range, luxury and SUV segments. The latest winter tyre from Continental will gradually replace its predecessors, the ContiWinterContact TS 830 P and the ContiCrossContact Winter, together with its big brother the Continental WinterContact TS 850 P SUV. 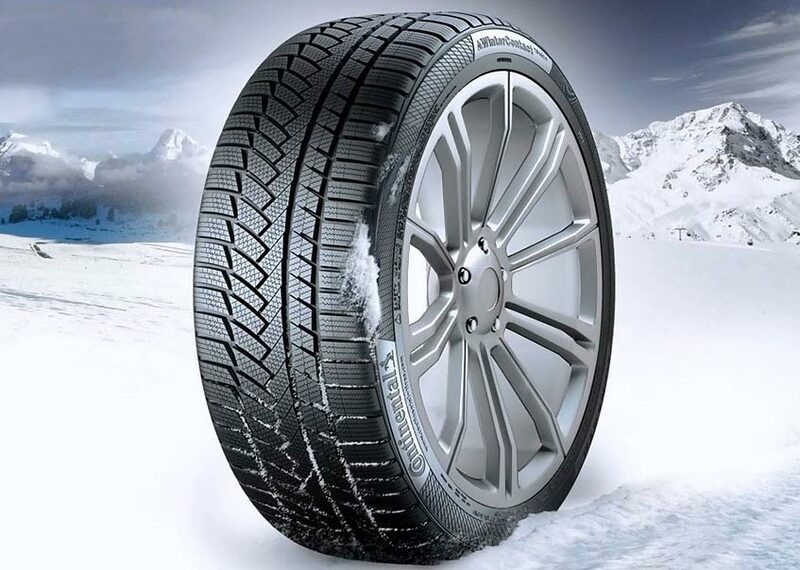 Safety and driving enjoyment on snow covered roads is primarily influenced by the design of the winter tyre's inner shoulder. Continental's new winter tyre benefits from higher angles and shorter spacing between the sipes in comparison with the predecessor model. The development engineers have also incorporated a greater number of tread bars into the contact surface to significantly increase the number of gripping edges in transverse motion. The sipes in the center of the contact surface and on the inner side of the tyre can pick up more snow and thereby create more friction and grip. As a result, the new premium winter tyre is 5% better in terms of handling properties on snow. The tread stiffness of winter tyres has a major impact on their dry handling performance. For asymmetrical tread patterns, tyre developers therefore primarily concentrate on the outer shoulder of the tyre if they are looking to make progress in this area. The sipes on the outer bars of the tyre are therefore designed to support the stiffness of the tread bar. This allows steering commands to be implemented with greater precision when turning corners at speed. At the same time, the sipes and bars on the inside and in the center of the tread pattern likewise support one another to enable additional traction. The reduced sidewall, which aids the fast build-up of lateral forces, is yet another trick the engineers have employed. The central section of the contact area on asymmetrical tread patterns ensures traction when braking. In order to achieve particularly low deceleration values, the developers borrowed a design element from summer tyres. The center of the tread pattern features an intermittent rib structure that prevents the tread bars from tilting to ensure that the high forces can be effectively transmitted when braking on dry and wet roads. The contact surface with the road is enlarged as a result of the flexibility of the bars when turning corners to ensure high traction reserves even when braking in this driving situation. Depending on the surface, wet or dry road, braking distances are reduced by up to 5%. The Continental WinterContact TS 850 P SUV features a higher tread pattern percentage, which is larger tread bars to prevent stones from becoming lodged in the tyre when driving on gravel roads. At the same time, the carcass is designed to easily bear the weight of heavy SUVs and effectively transmit the high forces when braking, cornering, and accelerating. The product range to be put into production this summer is designed to provide a broad selection for performance vehicles from the outset. Continental will offer the WinterContact TS 850 P for rims of between 16 and 20 inches in diameter as well as in widths of 205 to 275 millimetres.